Graduation stoles are sashes worn draped over the shoulders at a commencement ceremony to denote achievement in academics or extracurriculars. Stoles for graduation usually taper to a max width of five inches, and include custom text or images. Stoles reach near the bottom of your gown's sleeves. 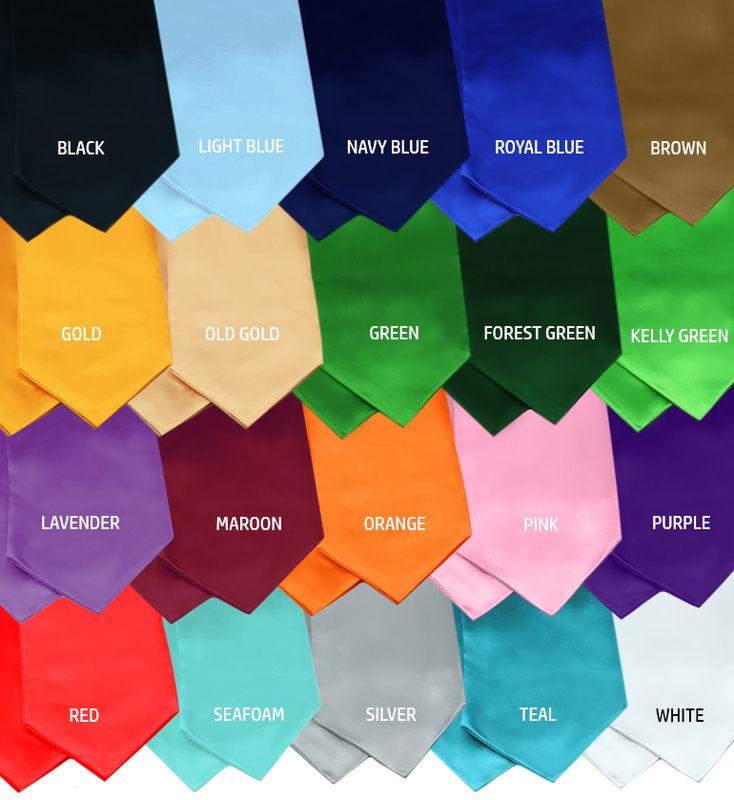 Custom graduation stoles are made from crepe back satin fabric with 19 color options & a variety of trims. We strongly recommend embroidery over screen printing. It costs the same and creates a higher quality final product. You will always receive a digital mockup of the custom stole for confirmation before we begin customization. Outside of spring graduation, custom stoles have same week turnaround. Lead time increases during this busy time of year, so make sure to order early. We make custom stoles with embroidery or screen printing for every kind of student council, academic organization, honor society, fraternity, or sorority. Classic stoles have a maximum width of ~5", while stoles with trim are slightly wider. 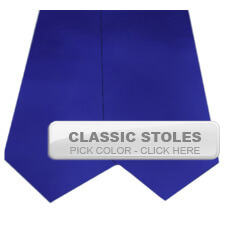 Standard length graduation stoles are designed both to be worn with a traditional graduation gown. All of our graduation supplies, including stoles and sashes are available in bulk or as single purchases by individual students. Do your upcoming graduates need custom graduation stoles for an upcoming graduation ceremony at your school? If you work with an educational institution, need to obtain a large quantity of customized stoles, or have special purchasing restrictions, don't worry, we've got you covered! 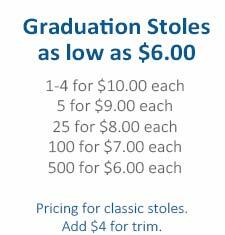 Submit your customized graduate stole order with a purchase order or any major credit card. Additional PO instructions can be found during the order process. 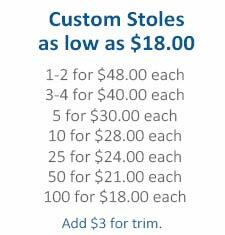 Additional custom stole colors (other than those listed on our website) can be arranged for bulk or recurring orders or for extended purchase contracts	in cases where advance notice is provided. Graduation is a busy enough time without adding worries over whether you are going to look great at the ceremony. 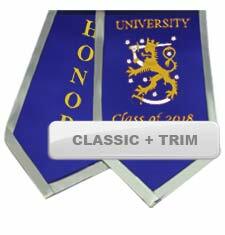 We provide customization for stoles directly to students, parents, faculty, and school administration. 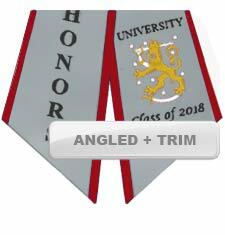 If your upcoming graduates need graduation stoles or graduation sashes for this year's commencement festivities, see what Honors Graduation has to offer you! Highest-quality, money-back guarantee on all stole products. You can know that you are getting the very best when you or your students purchase their commencement stoles from Honors Graduation! 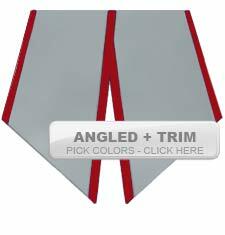 Get a custom graduation stole for your high-school, college, or university graduate!